This Creamy and Healthy Cucumber Salad is the perfect summer meal or side. 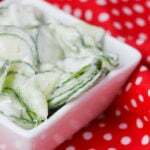 I love this healthy cucumber recipe–it’s a great cucumber snack! 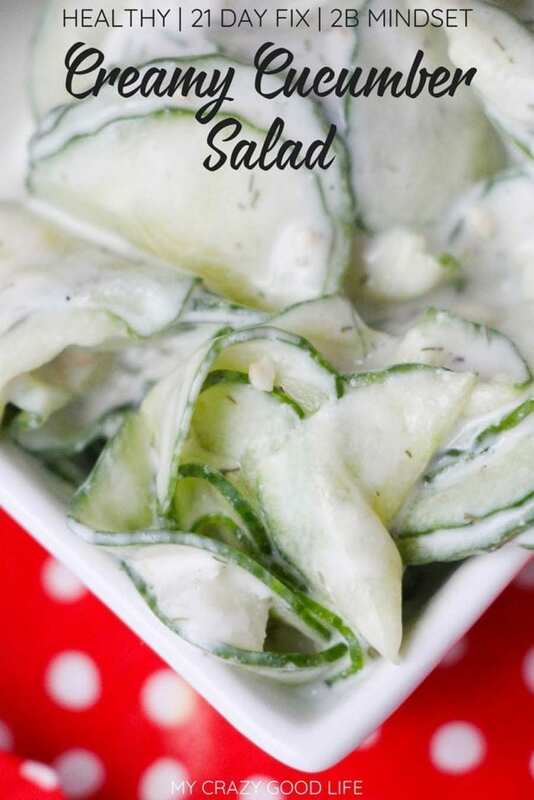 If you are looking for a great salad recipe that is 21 Day Fix and 2B Mindset friendly this creamy cucumber salad should definitely be on your list. I like family friendly recipes that are quick, easy, and tasty so this one makes a pretty regular appearance in our refrigerator. 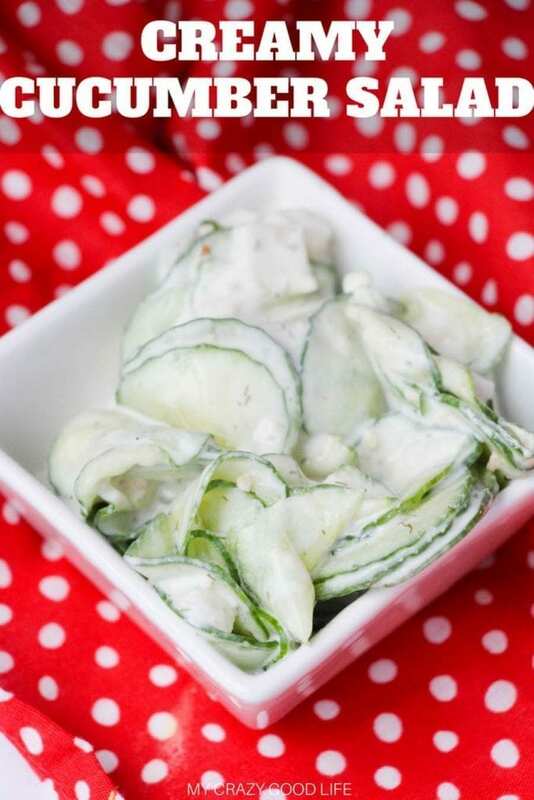 Wondering why you should make this particular creamy cucumber salad?! It’s lighter than most, easy to make, and only needs an hour to rest in the fridge before you can serve it up! There’s no mayo, cream, or diet derailing ingredients in this version so you can indulge without guilt. On the other hand, no one will be able to tell that you’ve created a healthier version of this classic recipe so you can take it to gatherings with confidence! Finding healthy side dishes can be tough, not to worry: here are some tasty options you can try. It’s quick and easy to make this delicious cucumber salad. It’s a healthy side dish for parties and events and it goes will with all of your delicious summer meals. Thinly slice the cucumbers using a mandolin slicer or food processor. Combine the onion, yogurt, dill, lemon juice, garlic and salt and pepper. Adjust to taste. Combine with the cucumbers and mix well. Let stand in refrigerator for at least an hour before serving. Is this a healthy creamy cucumber salad? It is! 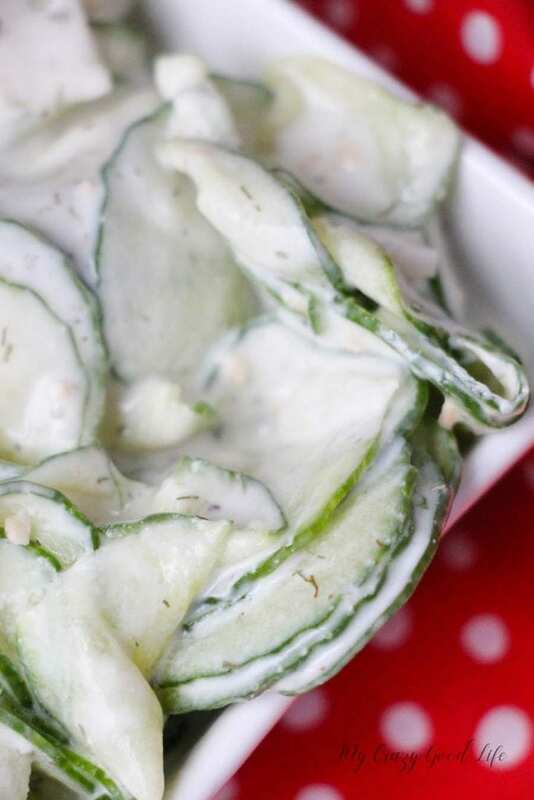 This cucumber salad doesn’t have any mayo, cream, or the heavy ingredients you might traditionally expect in a creamy salad recipe. It’s a healthier option that doesn’t sacrifice flavor! Lucky for all of us “healthy” doesn’t have to mean bland and boring, right?! 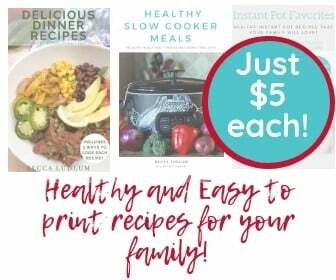 Because this recipe contains whole food ingredients and nothing overly processed or artificial it’s a great choice if you are trying to eat clean, gluten free, and even 21 Day Fix or 2B Mindset as you’ll see below. Lunch or Dinner | This makes a great lunch or dinner vegetable option! Since our plates should be mostly veggies this is a great recipe to prep at the beginning of the week so you have it for quick and easy meals! Pairs great with some grilled chicken or these greek kebabs! I love how crazy quick and easy this tasty cucumber salad is! Great recipe! This is the perfect summer salad! It looks so refreshing! 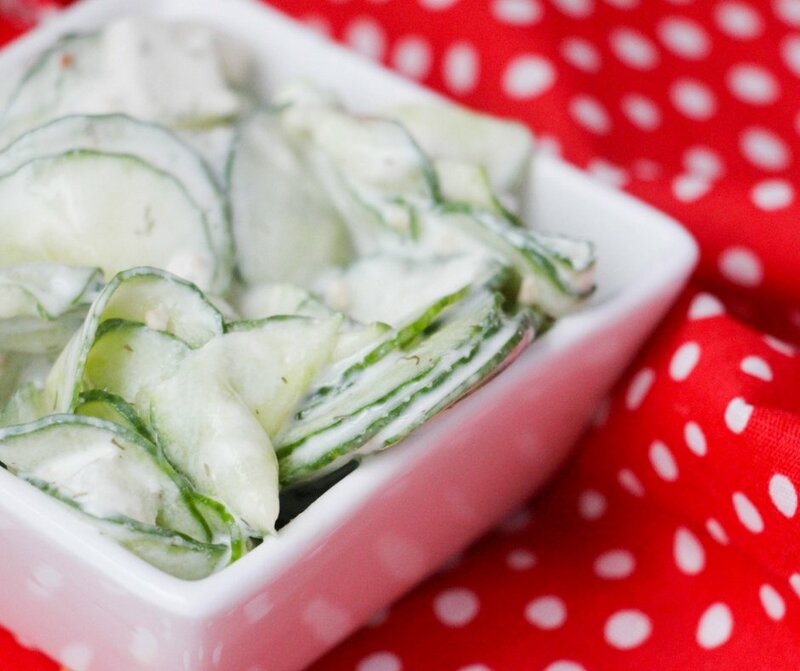 Love, Love, Love this cucumber salad!